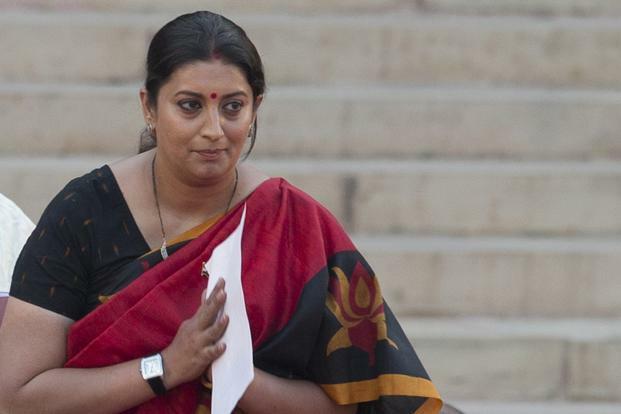 Of all the controversies in the aftermath of India’s most popular LS election season this year, the one that has sparked a row among students is HRD Minister Smriti Irani’s agenda of setting up new IITs in the country. Smriti Irani who has already become a favorite child of controversies post her win in Lok Sabha elections, has unknowingly stepped on wounds that have not been healed yet. Eight new IITs are already struggling to make a mark following their disappointing start in 2009. Setting up of new IITs will only add to woes of students, many believe. Smriti Irani, the new HRD Minister, in her first meeting with the Education Ministry Officials, spoke at length on the possibilities of setting up new IITs especially in states, which do not have one. Interestingly, the education ministry has already promised for an IIT institution in Seemandhra while a proposition to set up more IITs in North-East is already underway. In the wake of the news, students have voiced their disappointment on the possibilities of having more IITs in the country. Obviously, the proposal has not gone down well with students. “New IITs set up in 2009 are already struggling with lack of faculty and other key issues. Setting up a new set of IITs will only add to the problems already faced by the hallowed institutions. It is not a wise decision taken by the new Government,” said Akash Jain, an engineering aspirant from Mumbai. Students fear that the establishing of new IITs in the country will tarnish the legacy of IITs. “The quality of education for which IITs are recognized worldwide will be affected with more IITs to be set up by the education ministry,” Mohit Singh, a second year B. Tech student in Chemical Engineering said. However, the idea proposed by the new HRD minister seems to have not gone down well with the bureaucracy at HRD ministry either. In the meeting with Smriti Irani, the ministry explained to her shortage of both funds and faculty to set up more IITs. Availability of land for new IITs is another major hurdle in the proposed idea, which has also affected the proper functioning of IITs set up in 2009. The ministry proposed to first fix the issues of shortage of land and faculty before new IITs are made operational. The new HRD Minister, Smriti Irani views it all in a relatively different perspective. The idea proposed by her in the meeting is intended to open more lucrative academic opportunities for a growing population of ambitious students in the country. A number of engineering aspirants every year fail to make it to the hallowed IIT institutions owing to the shortage of the available seats in IITs. Obviously, more IITs mean more seats and more opportunities for more students. While the idea proposed by the new HRD Minister is still in its initial stage, the students have taken the proposition seriously and showed objection. As the idea of setting up new IITs is already on the verge of becoming a national debate, we invite you to share your views and comments on the same. Your contribution may help resolve the latest issue in the academic front amicably. Please take part in our poll !